You may hear the words Pranayama, Bandhas and Ayurveda come up occasionally (always) in your Power Living yoga classes. And you may think “what do these beautiful sounding words actually mean”? When you come to understand these words more deeply, is when you and your asana practice can change entirely. Delve deep into these practices when world class ParaYoga and Meditation Teacher, Brad Hay comes to Power Living to teach a range of workshops on PranaYoga in May. First of all, let’s start off by describing what ParaYoga is. Para, when translated in Sanskrit means “supreme,” “highest” or “absolute”. You can expect to work on the traditional teachings of yoga, meditation and Ayurveda during these workshops. Below we have defined what each workshop will be centred on and what they entail. Pranayama is conscious breathing and controlling of the breath, the essence of life. Prana represents life force and energy, while yama represents the ability to control and lengthen that breath/energy. If you haven’t heard the words “Mula Bandha’ in a vinyasa class, we’re stumped. In Sanskrit bandha’s are to lock, to hold, or to tighten. It is said that when you master your bandha’s, you master your practice (think: flowing in and out of new positions, and steady and long breath). A historical system of medicine, traditional to India, which encourages health and wellbeing. In Ayurveda there are five elements that make up our universe: Earth, Water, Fire, Air and Ether. These then come together to form the three humours in the body called the Doshas. See how these recipes can enhance your practice. Brad Hay is a world class ParaYoga and Meditation Teacher with a professional teaching career stretching over 20 years. He began teaching Hatha Yoga in 1999 and in 2003 completed Yoga Arts world-renowned 9 month full time training in Byron Bay with some of the country’s leading teachers. Brad is a Nationally Certified Ayurvedic Practitioner and a professional member the National Ayurvedic Medical Association in the USA. Brad met his current mentor of 12 years, Master Teacher, Yogarupa Rod Stryker, in 2007 & was officially initiated into the lineage of Sri Vidya in 2010. 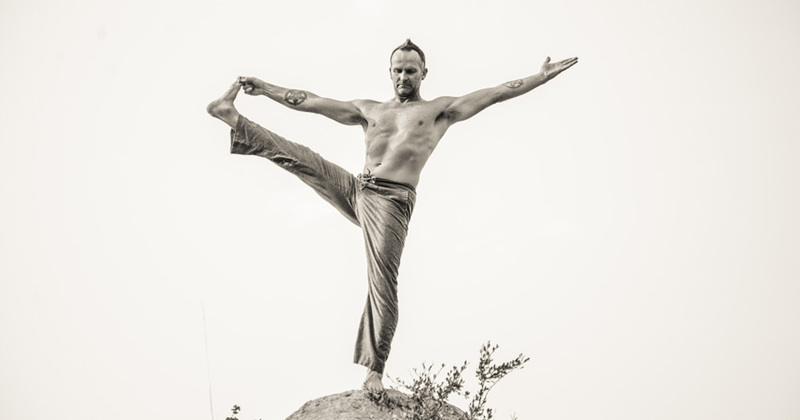 Brad is considered one of Para Yoga’s leading Senior Certified Teachers.